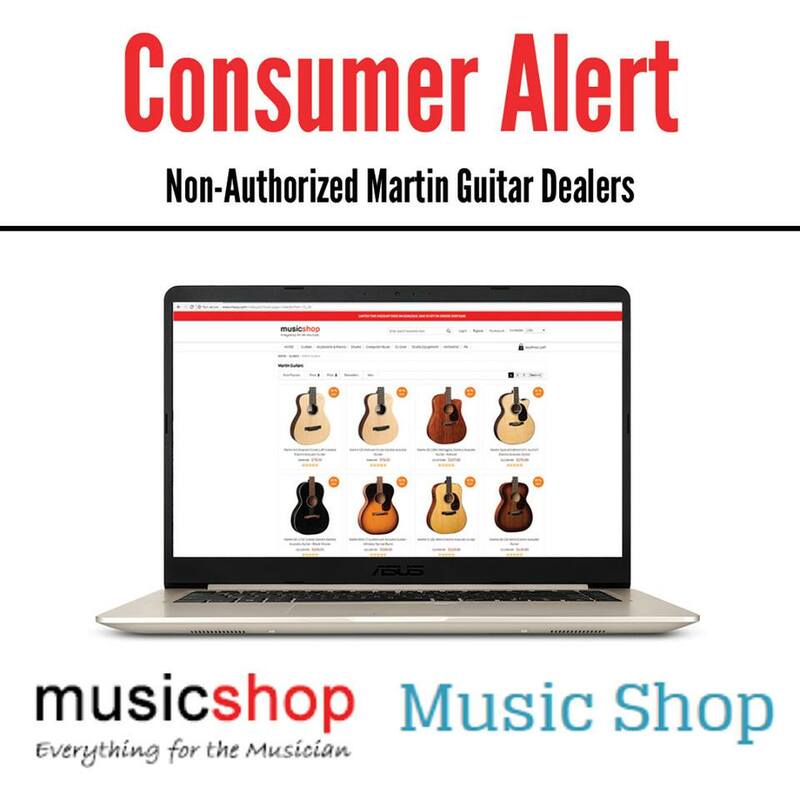 C. F. Martin has received numerous reports of multiple websites that point to online guitar stores with the icons below, that claim to sell Martin, Fender, Gretsch and other well-known manufacturers’ guitars at significantly reduced prices. These websites are not authorized dealers of Martin, Fender or Gretsch. These are fraudulent websites designed to steal consumers’ credit and debit card information. Representatives from Martin, Fender and Gretsch are all actively working to have these websites taken down; however, new websites appear daily with the same content. Please be vigilant when making your musical instrument and accessories purchases. Verify that you are purchasing from authorized dealers and trusted websites.